For tractor or telescopic handler. The beet and potatoes are cut in a shredder with stone protection. Cleaning is carried out by a large roller. The dirt then falls into a container that can be emptied at another location. 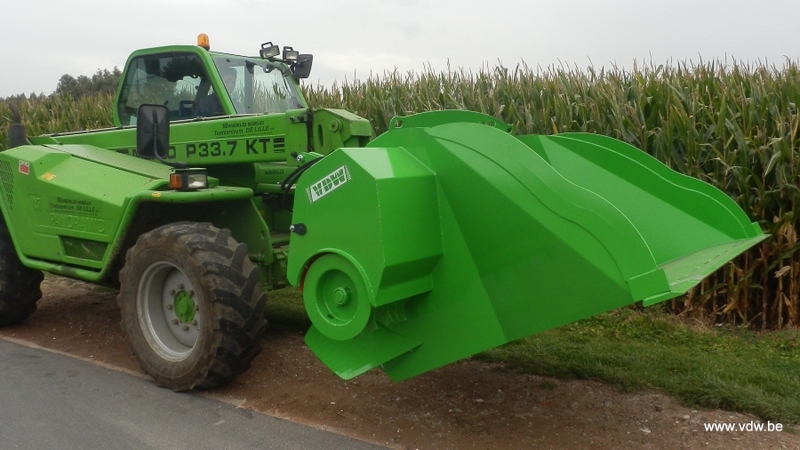 An aggressive chopping unit cuts the beet very quickly and uniformly. Stones can also pass through without damaging the system.